M.B.B.S in (2003) from M.G.M.M.C, Indore (M.P), D.G.O in (2007) from M.G.M.M.C, Indore (M.P). Served as a Jr. 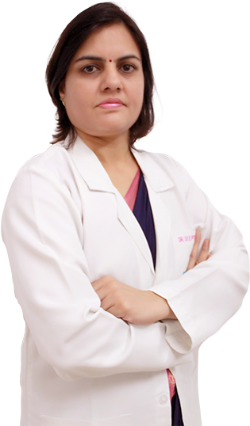 Consultant in Gynaec Department at Sarvodaya Hospital, Sector 19, Faridabad, 9 years of experience in gynaecology at (B.K-R.C.H) Government Hospital, Faridabad.